You know the feeling. You’ve created something beautiful - an amazing cupcake scented bath bomb topped off with foaming butter cream icing or a white chocolate raspberry scented body lotion with just a titch of mica for shimmer - that morphs from a lovely cream color to a shade of beige or brown in a few days. What happened? Vanilla happened! As much as we love them, fragrances containing vanilla can discolour our products. Why does this discoloration happen? When exposed to air and light, vanillin oxidizes and starts to brown. (As an interesting aside, it can react with iron to turn purple!) It has a pH of about 4.3, and discoloration increases as the pH becomes more alkaline. We can see this in action when we compare the discoloration of acidic products like lotions, shower gels, shampoos and conditioners to more alkaline products, like bath bombs, melt & pour soap and cold process soap. The browning in the latter products can happen almost overnight and continues to get darker with time, while the process in more acidic products takes longer and discolors less. Vanillin can impact more than just the color of the product. Because it’s polar, it’s soluble in water. (Water is polar, oil is non-polar, and the rule is “like dissolves like”, so polar things usually mix well with water.) When including it in an anhydrous product, like lotion bars, whipped butters or paraffin candles, vanilla can show up as a light film on the surface or small droplets at the bottom of the container. If you’ve noticed this bloom and it bothers you, include a bit of a non-ionic solubilizer, like polysorbate 20, caprylyl/capryl glucoside or PEG-40 hydrogenated castor oil with the fragrance oil to make sure it stays emulsified. Vanillin has an impact on surfactant systems, like shampoos, body washes or bubble bath, reducing the viscosity and the clarity of the product pretty substantially. (I'll never forget the Christmas I made a luscious thick bubble bath with Pink Sugar, only to find out it had the viscosity of water the next morning!) Fortunately, we can overcome this viscosity loss using our normal thickeners, like liquid Crothix or Ritathix DOE or salt. Just remember to wait until the product comes to room temperature before judging how much thickener to add! When the product is warm, it’ll be thinner, so you’ll end up adding too much! As a note, the impact of discoloring and viscosity altering fragrance oils are some of the reasons we always suggest watching your products over time to see what happens before you consider selling them. You might have the clearest and reddest pirate themed bubble bath of all time today, but that bloody, bubbly simulation may be cloudy and brown by the time little Dylan’s birthday party comes around! Vanillin shows up in so many of our fragrance oils because of its amazing scent, which means that a label doesn’t have to say “vanilla” in it to discolor your products. It can be found in fragrance oils that contain the descriptors “milk”, “cream”, “cupcake” and more. Since the INCI of most fragrance oils is “fragrance”, ask your supplier for more information before you decide to include it in your product. 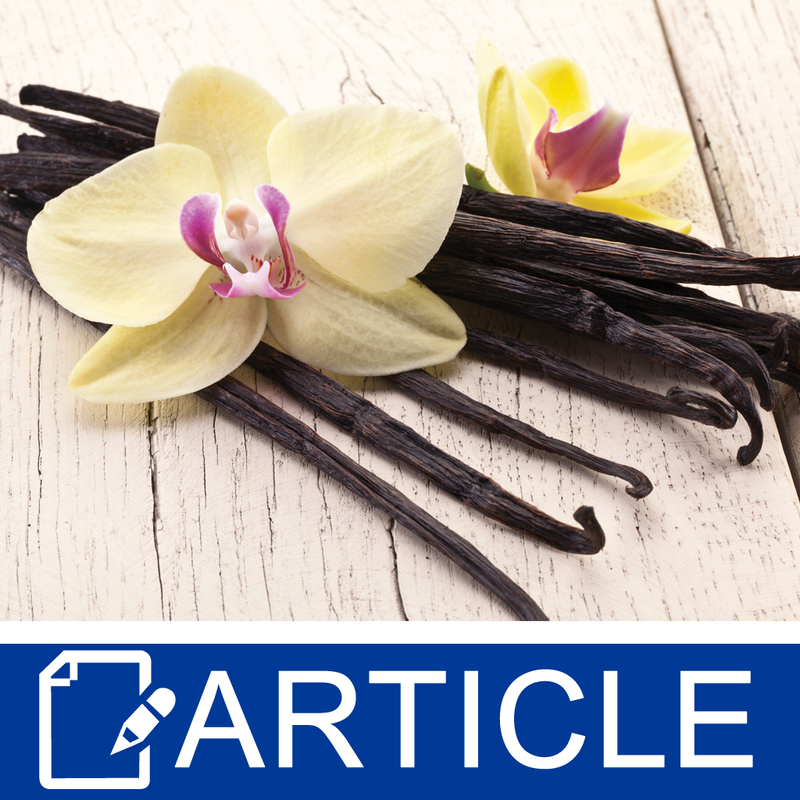 What to do if you want to use fragrance oils with vanillin in your products? Package your products in a closed opaque container to reduce exposure to light and air to slow down the process of oxidation. For most products, bottles with pumps or disc caps are a better choice than jars. Add an anti-oxidant like Vitamin E at 0.05% to your product to slow down oxidation. Add a whitener, like titanium dioxide. You only need a titch, and choose the right one for your product - oil or water soluble - before adding to the cool down phase. Mix well to avoid clumps. Dye it! It might not work well with a lotion or other leave on product, but a few extra drops of liquid colorant in a bubble bath or shower gel easily disguises the slight browning. Embrace the color! It isn’t a bad thing for our product to brown. As you’ve seen, it doesn’t mean the product’s gone bad or is dangerous: It just isn’t as pretty as it could be without the slight discoloration. "I made some chocolate mint bath truffles and my beautiful mint colored portion is morphing from mint to a creamy color of white. I used chocolate FO in the chocolate portion of the truffle and used peppermint EO in the mint green portion. Is the vanillin in the chocolate portion affecting the color of the mint portion and making it morph? I knew vanillin affected soaps but didn’t think about it in bath truffles and especially affecting a portion where no vanillin was added directly to it. " Staff Answer If your product is only butters, the vanilla should not be affecting the truffles. It could possibly be your colors that are bleeding into the mint area. It is hard to know for sure without knowing your recipe.